Why do sensory changes matter? 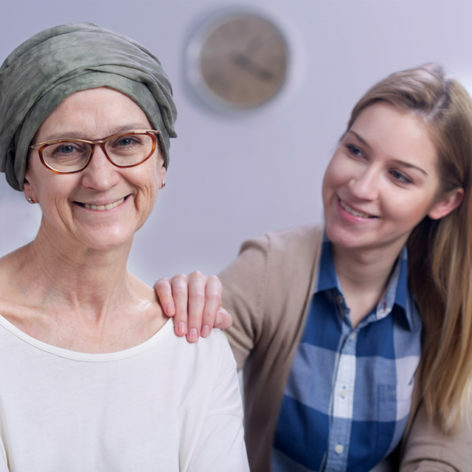 Food aversion and weight loss are particular concerns in patients with cancer, since weight loss, malnutrition and cachexia are predictors of poor clinical outcomes.7 Patients with weight loss or cancer cachexia have a reduced tolerance to therapy, impaired quality of life, and reduced survival.8 Click here to learn more. How can these sequelae be minimised? How is Danone Nutricia Research addressing this important issue? Danone Nutricia Research believes that chemosensory alterations are an important and under-recognised topic in oncology . We are expanding the evidence base through our engagement in a range of ongoing sensory and behavioural studies. “Understanding how different patients experience taste and flavour means we are better able to support their needs. Greater palatability translates into better compliance, delivers nutritional benefits, and potentially improves outcomes for patients,” says Irene Fernandez, AMN Sensory and Behaviour Science Leader, Danone Nutricia Research. Danone Nutricia Research presented new data to facilitate greater understanding of taste changes in cancer at the ESMO 2018 Congress in Munich, Germany, 19–23 October. Click here to learn more. Murtaza B, Hichami A, Khan AS, et al. Front Physiol. 2017;8:134. .
Spotten LE, Corish CA, Lorton CM, et al. Ann Oncol. 2017;28(5):969-984. .
Boltong A, Keast R, Aranda S. Support Care Cancer. 2012;20(11):2765-74. Brisbois TD, de Kock IH, Watanabe SM, et al. J Pain Symptom Manage. 2011;41(4):673-83. Lindley C, McCune JS, Thomason TE, et al. Cancer Pract. 1999;7(2):59-65. Ruo Redda MG and Allis S. Cancer Treat. Rev. 2006;32:541–547. Utech AE, Tadros EM, Hayes TG, et al. J Cachexia Sarcopenia Muscle. 2012;3(4):245-51. Arends J, Bachmann P, Baracos V, et al. Clin Nutr. 2017;36(1):11-48. IJpma I, Renken RJ, Ter Horst GJ, Reyners AK. Support Care Cancer. 2016;24(10):4301-8.